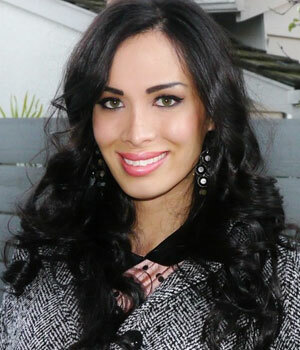 Among the 229 contestants competing for the title of Miss California USA will be Kylan Arianna Wenzel, a 26-year-old transgender woman from Century City, Calif.
Wenzel will be the first ever transgender contestant after the Miss Universe Organization changed its rules in April last year — Miss Universe operates the Miss USA pageant, and the local pageants that determine the state delegates. Last year, the Miss Universe Organization announced it was changing its rules and will allow transgender women to take part in all of its competitions starting in 2013. When she learned of the rule change, Wenzel said she left her job as a shift manager at Jamba Juice to pursue her life-long dream of entering the Miss California beauty pageant. “I moved my surgery up six months, I resigned from my job. Ever since then I’ve been just working on hoping to become Miss California,” she told Cooper. Preliminary competition in for the Miss California USA title begins tomorrow, when the 229 contestants will be narrowed to 20 semifinalists who will compete in Pasadena on Sunday.